Football Club Groningen (Dutch pronunciation: [ɛfˈseː ˈɣroːnɪŋə(n)]) is a Dutch professional football club based in Groningen. The club plays in the Eredivisie, the highest football league of the Netherlands. The club was founded in 1971 when predecessor GVAV changed its name to FC Groningen. Their home stadium was the Oosterpark Stadion from 1971 to 2005, while they currently play at the Hitachi Capital Mobility Stadion. The stadium is more commonly referred to with its former name, Euroborg. Their best result in the Eredivisie was third place in 1991 and 2006, and their worst result in the Eredivisie was relegation to the Eerste Divisie in 1974 and 1998. The club won the KNVB Cup in the 2014–15 season. The origins of football in Groningen date back to 1887, when students of the city's gymnasium established the cricket and football club Be Quick. In 1895, Be Quick became a founder member of the first football league in the northern Netherlands (comprising the provinces Groningen, Friesland, and Drenthe). The league was named Tweede Klasse Noord (Second Northern Division). There was no First Northern Division, but the Dutch Football Association regarded the level of play in the northern league to be too low to be rewarded with First Division status. This meant that the northern champion could not participate in the nationwide championship play-offs with the other Dutch regional champions. In 1897, the city of Groningen got its second football club with the foundation of Velocitas 1897, which became the labour-class rival of the elitist Be Quick. Be Quick and Velocitas remained the most successful football clubs in the city of Groningen until the mid-twentieth century, winning 26 northern championships between them (18 won by Be Quick and 8 by Velocitas). Football in Groningen received a boost during World War I, in which the Netherlands remained neutral. In 1914, about 1,400 soldiers from the British 63rd Division who were involved in the Siege of Antwerp were forced to flee across the border into the Netherlands when Antwerp was overrun by German troops. Because of the neutral status of the Netherlands, the troops were disarmed and interned in an encampment in the city of Groningen for the duration of the war. The British military men baptized their encampment "Timbertown," which developed into a lively little city of its own. Football was an important pastime for the British soldiers, who organized a league amongst themselves, but also played numerous exhibition matches against local Dutch opposition and participated in Groningen's cup competitions, in which the British often demonstrated a superior level of play. Local interest for these matches was high and aroused much enthusiasm for the game of football in Groningen. Several English military men went on to coach and play for Be Quick, most notably Arnold Birch and Harry Waites, which helped to raise the standard of the game in Groningen. In 1916, the northern league finally was rewarded with First Division status, and in 1920 Be Quick went on to win the national title. In 1915, a couple of locals inspired by the English players established football club Unitas. When in 1917 Unitas joined the Groningen Football Association, the club was demanded to alter its name because there already existed several other clubs in the country named Unitas. The team changed its name into GVAV (the Dutch acronym for "Groningen Football and Athletics Association"). In 1921, GVAV merged with athletic club Rapiditas. The new official club name became GVAV-Rapiditas, but the football team usually was just referred to as "GVAV." In 1926, GVAV promoted to the First Northern Division for the first time in its existence, and remained at the highest northern level until the abolishment of the regional leagues in 1950. GVAV succeeded in winning the northern championship only once, in 1940. In 1935, GVAV moved from the "Stadspark" (city park) in the south side of the city, where it shared its accommodation with Velocitas, to the Oosterpark stadium in the newly built Oosterparkwijk (eastern park quarter), which was constructed to provide housing for the working class. The Oosterpark stadium would remain the home of GVAV, and later FC Groningen, until 2005. The regional leagues ceased to exist in 1950. A new professional nationwide league structure, consisting of three tiers (Eredivisie, Eerste Divisie, and Tweede Divisie) was planned to commence in 1956. Results in the intervening seasons determined the make-up of these new divisions. In 1951, four Groningen clubs were active at First Division level (where GVAV, Be Quick, and Velocitas were joined by VV Oosterparkers). Five years later, GVAV was in the Eredivisie among the 18 best teams in the country, while Be Quick, Velocitas, and Oosterparkers were ranked two tiers below in the 1956-57 Tweede Divisie. At the introduction of professional football in the Dutch football leagues in 1954, Be Quick had suffered from internal division. Be Quick's long history and respected stature led to the club containing numerous outspoken and conservative factions. In addition, resistance against professionalism in general tended to be bigger at elitists clubs. Many Be Quick members opposed the plans of their club joining the professional leagues, among which most notably several players from the title winning squad of 1920. Be Quick did become professional, but because of internal strife it was not able to develop its full potential as a professional football club. No such obstacles existed at GVAV, were chairman Jan Hekman faced no internal resistance in his ambition to make GVAV the city's number one professional football team. Labour class teams Velocitas and Oosterparkers, at their turn, had insufficient financial backing to compete with GVAV in the professional leagues. Oosterparkers remained professional for three seasons, after which they voluntarily left the professional leagues and went back to amateurism. Velocitas held on for one more season after which they also relegated from the professional leagues. Be Quick initially was more successful. They stayed professional until 1964, after which they voluntarily stepped back to the amateur league and left GVAV as the only professional football team in the city of Groningen. In the early 1960s, GVAV found itself in financial difficulties. This instigated the establishment of the Stichting Betaald Voetbal GVAV (Professional Football Foundation GVAV) in 1963, consisting of GVAV-Rapiditas, the Groningen municipality government, and an organization representing local businesses. All three parties were shareholder for 300,000 Guilders. It was planned that this sum was paid off over a period of three years, but it soon became clear that the Foundation was not being able to do so. GVAV even needed additional annual financial support from the municipality government in order to survive. The future of professional football in Groningen remained uncertain. 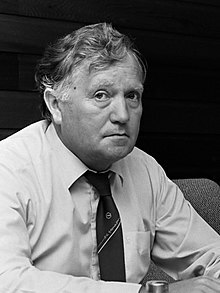 Early in 1970, Harm Brink, the chairman of Groningen amateur football club GRC, stated that Groningen amateur football clubs needed to support the local professional team. He suggested that the amateur clubs should put their best players to the disposal of the local professional club. However, he recognized that the name "GVAV" might be an obstacle in such a cooperation and proposed the foundation of a "Sport Club Groningen." Groningen's amateur clubs supported Brink's plan, but confirmed to have little faith in the connection between GVAV-Rapiditas and the Professional Football Foundation GVAV. The local businesses and municipality government declared to be willing to remit the Foundation's debts from 1963, under the condition that GVAV-Rapiditas would cut its ties with the city's professional team. In 1970, GVAV's financial woes worsened when the club relegated from the Eredivisie. The proponents of the establishment of FC Groningen hoped to commence the 1970–71 season under the new name, but this plan failed as the GVAV members assembly rejected their proposals. Later that year, however, the GVAV members assembly changed its vote and accepted the plans. In June 1971, FC Groningen was officially established. GVAV's traditional blue, white, and red were dropped in favor of the municipality colors green and white. Because GVAV promoted back to the Eredivisie in 1971, FC Groningen began its existence at the top tier of Dutch football. One day before the official foundation of FC Groningen, tragedy struck. In Rotterdam, GVAV goalkeeper Tonny van Leeuwen was awarded with the honor of being the country's best goalkeeper of the 1970–71 season, in which he had only conceded seven goals. Van Leeuwen was offered a room for the night in Rotterdam, but the goalkeeper choose to drive back to his home in a village near Groningen. On his way back up north, Van Leeuwen's car collided with a truck coming from the opposite direction, killing him instantly. In its first two seasons, FC Groningen finished 12th and 13th respectively in the Eredivisie (out of 18), but in the 1973–74 season, the club finished bottom of the table and relegated to the Eerste Divisie. Financial woes worsened at the same time. In 1974, FC Groningen came very close to bankruptcy, but was saved by the municipality government once again. A swift return to the top flight came very close when Groningen finished second in 1975 with an equal number of points as champions NEC, who won the title by a slightly better goal difference. In subsequent seasons, Groningen finished fourth, eighth (the lowest ever league finish in the history of the club) and sixth of the Eerste Divisie. In 1978, FC Groningen came very close to promotion via the post-season mini-league, consisting of four clubs from the Eerste Divisie. In the last round of play, MVV caught up with Groningen's seemingly comfortable lead in goal difference after an unexpected 5–0 victory over Excelsior, while FC Groningen drew 0–0 with Wageningen. In these years, average crowds at FC Groningen's home league matches fell to between 5,000 and 6,000. From the mid-1970s, the seeds for success were sown. In 1975, FC Groningen established a youth academy from which came the backbone of the team that eventually won promotion back to the Eredivisie. In 1977, the club appointed manager Theo Verlangen, under whose leadership results gradually improved. In the 1978–79 season, Groningen finished second again, one point behind league winners Excelsior. Yet in 1980, Groningen were comfortable champions of the Eerste Divisie and, after a six-year absence, returned to the Eredivisie. FC Groningen barely avoided relegation in its first year after winning promotion, but managed to stay far away from the bottom of the table in subsequent years. In the five seasons from 1982 to 1986, FC Groningen never finished below 7th place in the Eredivisie. FC Groningen eliminated Atlético Madrid on its European debut in the first round of the 1983-84 UEFA Cup. The team seemed on its way to another eye-catching result in the next round when Internazionale was defeated 2–0 in the Oosterpark stadium, but the return leg in Bari ended in a 5–1 defeat. FC Groningen competed in Europe again in 1986, 1988, 1989, 1990, and 1991, with a place in the third round in 1986 and 1988 as the best results. In the 1980s, FC Groningen could rely on the talent of Ronald and Erwin Koeman, who both made their professional debut at the club, as well as of that of players like Peter Houtman, Adri van Tiggelen, Jan van Dijk, Paul Mason, Fandi Ahmad, Pieter Huistra, and Rob McDonald. In 1984, FC Groningen even signed Johan Neeskens, but in the winter of his career the former Ajax and FC Barcelona star could not make much of an impact. An average of about 10,000 people visited the league matches in the Oosterpark in FC Groningen's first season back in the Eredivisie in 1980–81, which in subsequent years rose to about 13,000. 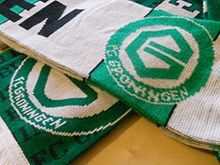 This gave FC Groningen the 4th highest average attendance in the Netherlands for seven consecutive seasons between 1980–81 and 1986–87, lagging only behind the traditional top teams Ajax, Feyenoord, and PSV. By the end of the 1980s, it became clear that FC Groningen's successes had come at a price that transcended the clubs (legal) revenue. In 1989, the Dutch anti-fraud agency FIOD raided FC Groningen's offices in the Oosterpark stadium, looking for evidence of fraud with payroll taxes. FC Groningen's chairman Renze de Vries was found guilty of embezzlement and using dirty money to lure players into signing for FC Groningen. De Vries spend a couple of days in prison and was forced to step down as chairman, but as he had acted in the interest of FC Groningen and under his leadership the club had risen to prominence, De Vries remained a hero in the eyes of many FC Groningen supporters. In 1989, FC Groningen made it to the final of the KNVB Cup for the first time in its history, but lost 4–1 to PSV. The club's best season to date came in 1990–91. FC Groningen had two remarkable strikers in Hennie Meijer and Milko Djurovski, and for a long time competed for the national title with PSV and Ajax. In the final months of the season, however, FC Groningen's squad appeared to lack the depth to cope with suspensions and injuries and had to settle for a 3rd-place finish. 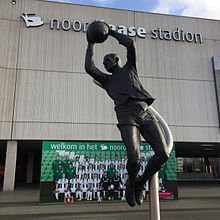 After a 5th-place finish and UEFA Cup qualification in the 1991–92 season, FC Groningen began to slide down the table and would not be back in Europe for the next 14 years (not taking into account the Intertoto Cup). The club had little financial resources left, and except for a 9th-place finish in 1996, ended in the bottom half of the Eredivisie for every year from 1993 to 1998, when FC Groningen relegated to the second tier for the second time in its history. In these years, the club frequently made negative headlines by crowd trouble occurring around FC Groningen's matches. This even led to one of the crucial matches in the 1998 play-offs for promotion and relegation to be played behind closed doors at a secret location to prevent clashes between rival supporters. FC Groningen returned to the Eredivisie after two years. The club finished near the bottom of the table in the four seasons following its return into the top tier, but managed to avoid the relegation play-offs on all occasions. Its most eye-catching player in these years was youngster Arjen Robben, who had come from the club's academy and made its professional debut in the 2001–02 season. When FC Groningen found itself bottom of the table four months into the 2002–03 season, the incumbent head coach Dwight Lodeweges was sacked and replaced by Ron Jans. Jans steered the team away from the bottom places, and secured 13th and 12th-place finishes in the subsequent years. During the 2004–05 season, FC Groningen signed Norwegian striker Erik Nevland, who quickly made his mark by scoring 16 league goals in his debut season at the club. Jans and Nevland would become the most prominent drivers behind FC Groningen's return into the top half of the Eredivisie in the following years. Halfway through the 2005–06 season, FC Groningen moved from the Oosterpark stadium, which facilities had become outdated, to the modern Euroborg. The move took place during the club's best season in years. The attractive style of play by Ron Jans' team in the atmospheric new Euroborg provided the club with a new positive image in the Dutch media. FC Groningen remained unbeaten in its first 15 league matches in the Euroborg, and qualified for the UEFA Cup in both 2006 and 2007. Average attendance increased from about 12,000 in the Oosterpark to around 20,000 in the new stadium. The increase in revenue resulting from the move to the Euroborg allowed FC Groningen to once again became a regular in the top half of the Eredivisie. In the 2006–07 season, FC Groningen's most eye-catching player was youngster Luis Suárez, who made his debut in European football at FC Groningen, but moved to Ajax after just one season in the Euroborg. Among other prominent FC Groningen players in the first Euroborg years were Bruno Silva, Marcus Berg, Tim Matavž, and Andreas Granqvist. On 13 April 2008, a fire broke out in the north stand of the Euroborg when thousands rolls of toilet paper, that were thrown from the stand in a tifo choreography ahead of the match between FC Groningen and Ajax, caught fire, leaving 28 people injured. The match was postponed and replayed three days later. 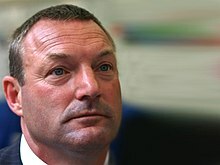 At the end of the 2009–10 season, Ron Jans, who with eight years in charge had been the longest-serving head coach in FC Groningen's history, left the club to become head coach of rival SC Heerenveen. Former FC Groningen player Pieter Huistra was signed as his successor. Huistra set a new club record for gaining the most points in the first half of a season, when halfway through the 2010–11 season, FC Groningen sat 3rd in the table with 39 points. After an eventual 5th-place finish, FC Groningen qualified for the European competition play-offs. In the play-offs final, FC Groningen seemed on its way to complete a dramatic comeback, when a 5–1 defeat away to ADO Den Haag was followed by a 5–1 victory in the return leg in the Euroborg, but ADO Den Haag prevailed in the penalty shoot-out. Huistra was sacked after a very poor second half of the 2011–12 season, in which FC Groningen finished 14th, falling out of the top half of the Eredivisie for the first time since moving to the Euroborg in 2006. After one season under Robert Maaskant, former assistant manager Erwin van de Looi was appointed as the new FC Groningen head coach. Like Maaskant the year before him, Van de Looi led the team to a 7th-place finish and qualification for the European competition play-offs. FC Groningen won the play-offs for the first time since 2007, overcoming Vitesse and AZ, and qualified for the 2014–15 Europa League, in which the club lost to Aberdeen in the second qualifying round. Van de Looi's finest hour came in the following year, when FC Groningen defeated Vitesse and Excelsior in the quarter and semi-final of the 2014-15 KNVB Cup to qualify for the final against PEC Zwolle, led by former FC Groningen manager Ron Jans. About 25,000 FC Groningen fans descended on Rotterdam for the club's second overall and first cup final appearance since 1989. The deadlock was broken in the second half of the match, when two assists by substitute Jarchinio Antonia allowed Albert Rusnák to score twice in the span of 11 minutes, giving FC Groningen a 2–0 victory and the club's first major trophy. By winning the KNVB Cup, FC Groningen qualified for the group stage of the 2015-16 UEFA Europa League, but could not make an impact in a group with Olympique Marseille, Sporting Braga, and Slovan Liberec. After the 2015–16 season, Van de Looi stepped down as head coach and was replaced by Ernest Faber. FC Groningen had a remarkably poor start of the 2016–17 season, but later recovered to finish 8th. This league finish meant the club qualified for the play-offs for Europa League qualification, in which they were eliminated by AZ Alkmaar in the first round. At the end of the 2017–18 season Faber stepped down and was replaced by Danny Buijs, who as a player had been part of the FC Groningen squad that qualified for the UEFA Cup in 2006. When GVAV was reformed as FC Groningen in 1971, a competition was subscribed to come up with a new crest. The winning design was created by Reint Rozema. It showed an abstract character "G," referring to "Groningen." The "simple but strong shape of the crest," as it was described by Rozema, had to symbolize the nature of the people of Groningen. The crest's form was inspired by the truncated icosahedron pattern of a football. In 1993, the mythical flying horse Pegasus was added to the crest. The supporters opposed this change and the crest was restored to its original form in 1996. Groningen's official colours are green and white, derived from the arms of the city of Groningen. Although the crest was green and white from the beginning, the team's first ever home kit was purple, although a green and white kit was also used in the club's inaugural season. The purple home kit was dropped after a couple of seasons and the club's home colours solely have been green and white ever since. The design of the shirt continued to change until 1991, when a kit with two vertical stripes was adopted as Groningen's standard home kit. Since 2006 the colour purple has been revived as the team's third colour and often is used in the away kits. The club plays its home games at the Euroborg stadium, with a capacity of 22,329 seats. In December 2005, the club played its last match in the 12,500 seat Oosterpark Stadion after having played there for 70 years. The average attendance in 2004–05 was 12,500; this has risen to just under 22,000 at the Euroborg. There are plans to expand the stadium to a capacity of 30,000 or 40,000. The Euroborg is known to be one of the more atmospheric of all Dutch stadiums. Despite its relatively short existence, it has already earned the nickname the Green Cathedral. Having no other teams of a similar size in its nearest proximity, FC Groningen lacks traditional rivals. SC Veendam was the nearest professional team to Groningen until the club dissolved in 2013, but as Groningen and Veendam were in different divisions during most of their histories, and Veendam had a significantly smaller following, a strong two-sided rivalry never developed. In the 1980s, incidents between the hooligans of Groningen and Twente led to a fierce rivalry between the clubs' respective hooligan firms. Encounters between the two have often led to violence in and around the ground during the 1980s, 1990s and early years of the 21st century. After Groningen moved to the Euroborg in 2006, supporter violence around matches with Twente disappeared almost completely due to the superior safety conditions of the new ground. Although aversion against Twente remains to exist among Groningen's most fanatical following, the fierceness of this rivalry in general is considered to be something of the past. In a similar vein, yet significantly lesser fierce and long-lasting than the rivalry with Twente, the hooligan firm of Groningen has maintained rivalries with FC Den Bosch, PEC Zwolle, Cambuur Leeuwarden and NAC Breda. However, antagonistic feelings towards (the fans of) these clubs mostly were limited to the hooligans of the club and barely existed among the bulk of FC Groningen's following. A feeling of hostility towards Ajax is more widespread among all factions of FC Groningen supporters. Although relatively insignificant from the perspective of the Ajax fans, home matches against Ajax are considered main events by most Groningen supporters. Remarkably, away matches against the Amsterdam side are not deemed equally important. This rather one-sided rivalry can be explained by a more general aversion of the inhabitants from the more rural and peripheral northern regions of the Netherlands towards people from the Randstad and Amsterdam, who are stereotyped as being arrogant and haughty. Since the late 1990s, a more local rivalry has developed between FC Groningen and Heerenveen, which is based just 60 kilometers from the city of Groningen. Around this time, Heerenveen became a regular in the Eredivisie and no longer met regularly with its nearest and primary rival Cambuur Leeuwarden, which mostly was active in the second tier. Groningen and Heerenveen are seen as representing the two neighboring northern provinces of Groningen and Friesland, between which a more general rivalry exists. Therefore, the match between Groningen and Heerenveen is referred to as the Derby of the North. * Official position, including playoff (if played). If playoffs has been played the position before playoffs between brackets. Shown below is a table with the domestic results of GVAV and (from 1971 to 1972) FC Groningen since the introduction of the Eredivisie in 1956. 1961–62 Eredivisie 13th – 1961–62 ? 1960–61 Eredivisie 6th – 1960–61 ? 1958–59 Eerste Divisie 3rd (group B) – 1958–59 ? 1957–58 Eredivisie 17th Eerste Divisie (relegation) 1957–58 ? 1956–57 Eredivisie 14th – 1956–57 ? The players below had senior international cap(s) for their respective countries. Players whose names are listed represented their countries while playing for FC Groningen and its predecessor GVAV. ^ "FC Groningen pakt eerste KNVB-beker in clubhistorie ten koste van PEC – NU – Het laatste nieuws het eerst op NU.nl". www.nu.nl. Retrieved 28 November 2018. ^ (in Dutch) Various authors, 40 jaar FC Groningen en de historie van GVAV (De Buitenspelers, 2011) 12–26. ^ (in Dutch) Henk Hendriks & Henk Hovingh, 1986: 15 jaar FC Groningen (Uitgeverij Adrem, 1986) 7–8. ^ (in Dutch) Various authors, 40 jaar FC Groningen en de historie van GVAV (De Buitenspelers, 2011) 320–322. ^ Harris. "Harris FC Groningen supporters site". Trotsvanhetnoorden.nl. Retrieved 27 April 2010. This page was last edited on 22 April 2019, at 21:39 (UTC).